16.3 sqmi Big Creek nr Groveland, California. I have started another small (16.3 sq mi, 72 radar pixels) drainage simulation for Nexrad real-time runoff to USGS gage comparison in the San Jouquin Valley foothills of the Sierra Nevadas. USGS flow station info is here. 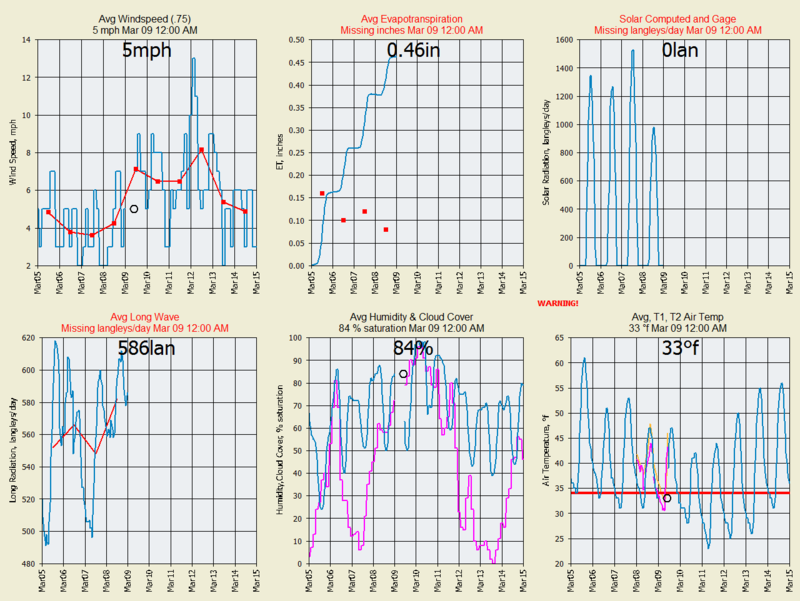 The Wunderground weather station info is here. 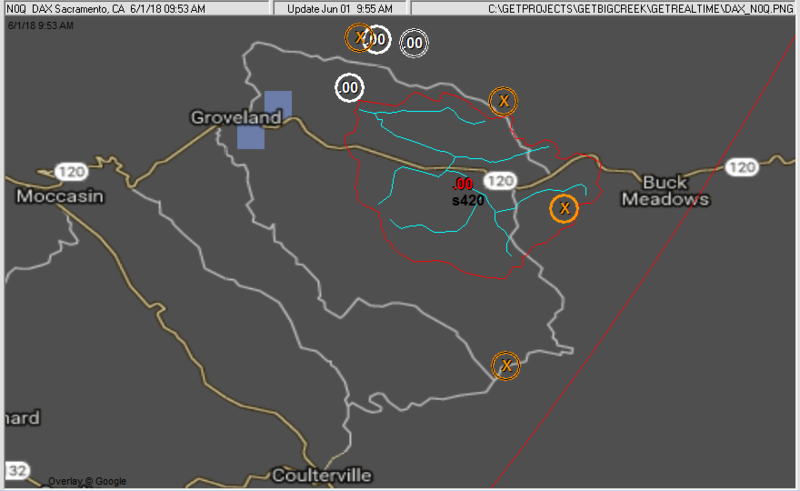 The NEXRAD radar site DAX is located 93 miles northwest of the USGS stream gage. 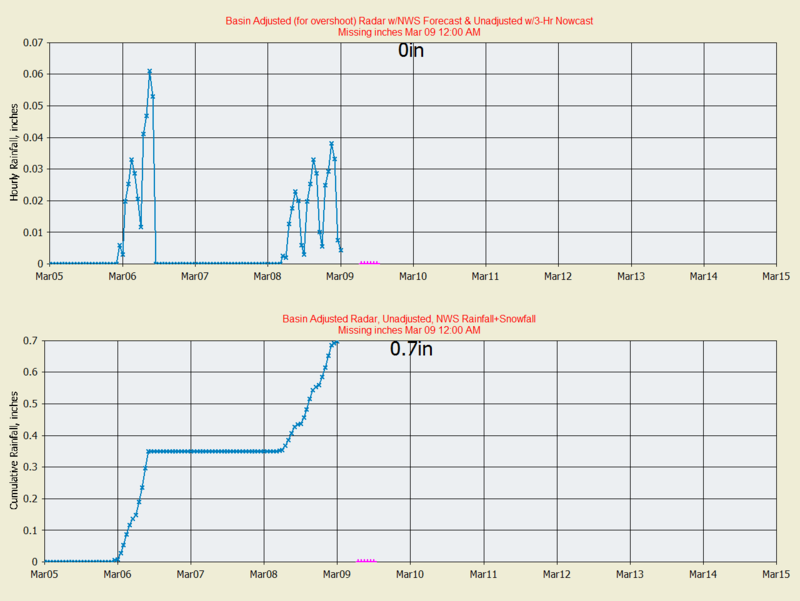 As one can see from FUBAR and SNAFU hourly rainfall values and runoff of Part 2 above, radar rainfall needs an hourly adjustement method applied to the basin radar values, beyound that of the 1.99 factor that works pretty well for daily values (actually I retract this, see daily accum's graph below). This is a repeating theme found at all Nexrad radars I have looked at, whether very close or far from the radar, even in summer. The daily radar values need only a seasonal factor applied, if any, for bias, while unit and hourly values scatter wildly. I don't see how the daily values come out so well with the absolute junk input for the unit values. I'ts like some Heisenberg uncertainty principle and it's promulgation of absurdities. As Einstein noted, "The more success it has, the sillier it looks." Another lesson learned at this runoff site was the need for interception of a large amount of available infiltration due to forest canopy and leaf litter. The amount chosen and added to GetRealtime was 0.05 * Sdry or about 0.9 inches at CNdry=40. This means in a dry condtion where P has returned to zero, 0.9 inches of rainfall must occur before infiltration begins. I thought 0.9 inches was outlandish so I stopped at 0.05*Sdry but it may even have not been enough. It really helped. Part 3A Conclusions 2013: Not bad... not bad at all but not much rain this year after a good start. Without Getrealtime's continuous simulation of soil conditions and hourly gage/radar rainfall adjustment this site would have remained a Fubar basket case. I could have used GetRealtime's Seasonal Riparian ET factor to make May's flows disappear more quickly but not bad as is. 5-minute snowfall/melt was successfully accounted for. 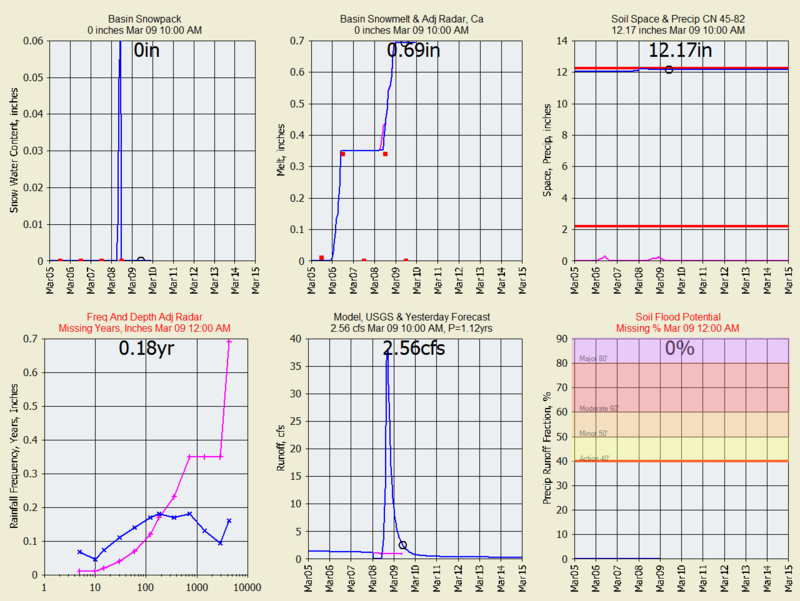 Basin soil initialization was a bit ragged at the start but came through ok once Interception was accounted for. Alot was learned and incorporated into GetRealtime's runoff methods and that just leaves rainfall adjustment techniques to look further into. The 2013-2014 runoff period continues with the same runoff coefficients and hopefully more rainfall and snow melt will occur this year. The single radar adjusting Wundergage is now farther away near the Pine Valley Airport. There are 4 Wundergages being downloaded but are really bad except for Pine Valley. If they improve a closer Wundergage will be used but now it is what it is. No runoff is expected until about 4 inches of rainfall has replaced the soil moisture and canopy losses. You have to have precip for runoff!!! 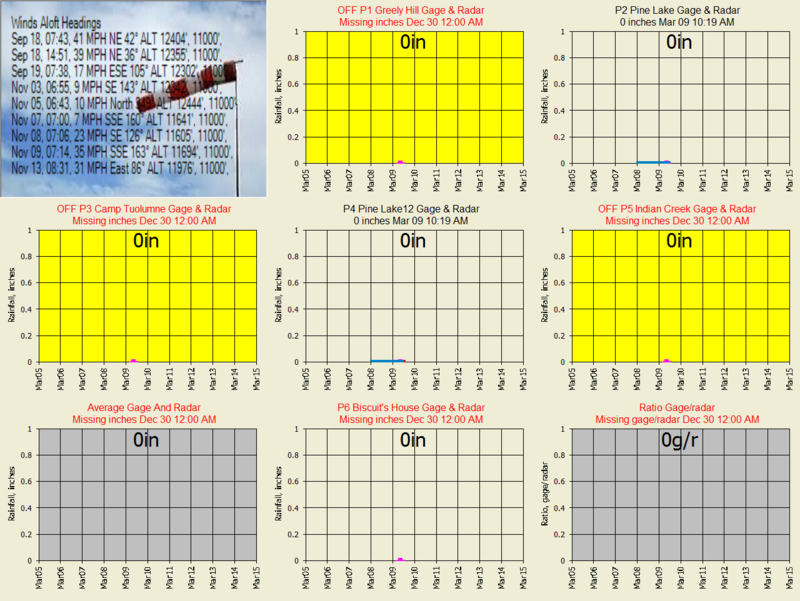 GetReltime uses the NWS 7-day hourly forecast of Temp, Humidity, Wind Speed, and Precip and distributes them for 5-minute snowmelt computations. The forecast Precip is only for 4 days as 6-hour QPF's. 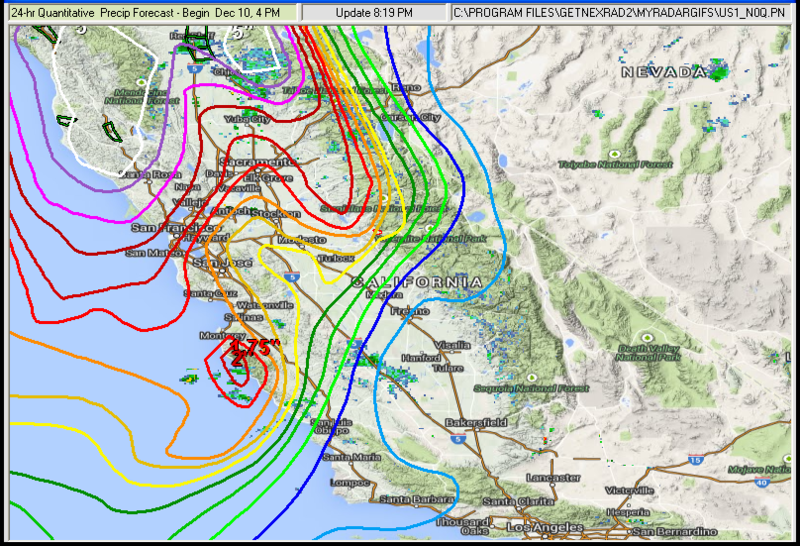 GetRealtime distributes each 6-hour period precip value as a California 6-hour storm with 5-minute time steps. Yes, 5-minute snowmelt is a bit overkill, but you never know when a freak thunderstorm might occur over this small basin. Part 3B Conclusions 2014: Boy, two dry years in a row. Maybe next year it will rain. The 2014-2015 runoff period continues with the same runoff coefficients and hopefully more rainfall and snow melt will occur this year. Ended May1, but will update if significant summer rains. Houston, we have a scheduled lift off!!! and counting as of 12/10/2014. The 2015-2016 runoff period continues with the same runoff coefficients and hopefully more rainfall and snow melt will occur this year. Update Jan 1 recession slope was raised from 0.08 of loam to 0.2 of sandy loam. Not sure if this is because of the very dry previous 2 years or what. We'll see if eventually it will return to .08. 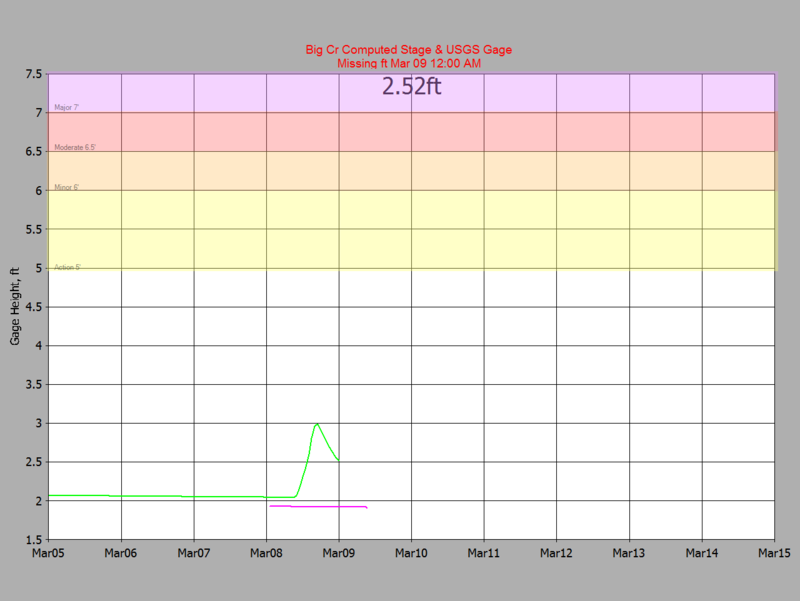 Update Jan 14 the 3 triangle unit graph was replaced with a dimensionless unit graph for 15-minute gaged storm of 12/23/2012 with peak= 1,130 cfs. No runoff is expected until about 4 inches of rainfall has replaced the soil moisture and canopy losses. But as of Sep 12 there's some light rain comming in and there is snow falling on the peaks... Let the good times roll!!! The 2016-2017 runoff period continues with the same runoff coefficients and hopefully more rainfall and snow melt will occur this year. Update Jan 1, 2016 recession slope was raised from 0.08 of loam to 0.2 of sandy loam. Not sure if this is because of the very dry previous 2 years or what. We'll see if eventually it will return to .08. The 2016-2017 runoff period continues with the same runoff coefficients and hopefully more rainfall and snow melt will occur this year. 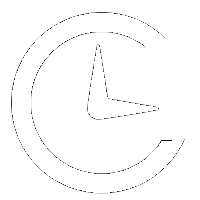 The Nowcasts are being evaluated on my web page here. Radar cells are about 0.6 miles wide. White circles gage ON, black gage OFF, red g/r adjusted precip. Looks to be 2 populations here that should be fit separately and convoluted for the final curve which will be a tick above both with a bit more as they cross. This would take the upward skew out of the upper population. Copyright 2009-2015 Carson, Reproduction permitted with attribution.